I have been quite remiss and forgotten to update you on my #WIPCrackAway adventures! 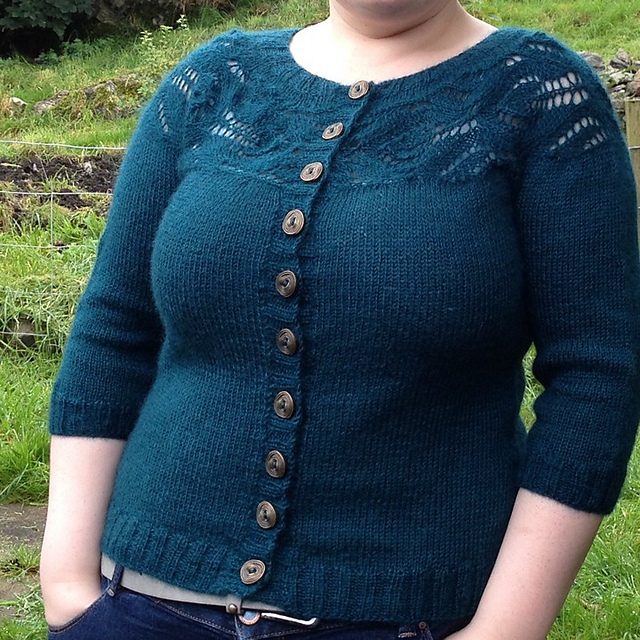 If you have been playing along with the WIPCrackAway KAL on Ravelry then you will have seen my finished Lush cardigan. I ADORE IT! It is Wensleydale Longwool Sheep Shop with buttons from Textile Garden. 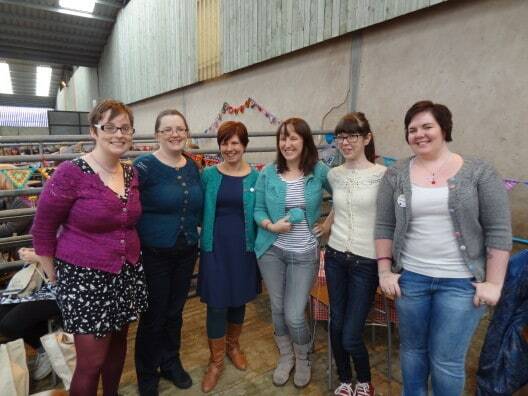 I haven’t had much time to get pictures taken, but it was awesome to meet some of the other #LushPodKAL knitters at Yarndale and I couldn’t resist getting a photo. So with one of my WIPS now alive as a FO, it was on to the next. I have been adding scallops onto the Tree Rings blanket, but was not going to traipse that to Yarndale, so I took my Vedbaek and have really enjoyed knitting on that. The pattern, designed by Karie Westermann, is a triangular shawl with deep ridges of beautiful garter stitch and slip stitches. 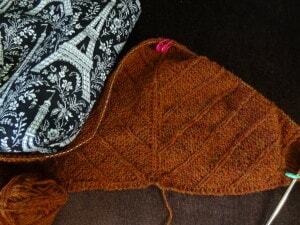 I was very quick to find the rhythm in knitting this and it can be quite a meditative knit. However I seem to have knitted and knitted on this and it hasn’t grown much. Not to worry though, I am going to knit it till I have no more yarn left and I can’t wait to wrap it around myself. It is so hugely inspiring to read the chat threads (this week at the Yarns from the Plain group now in KnitBritish for week 4) and look at the FO gallery and see how many people are just a-buzz with WIP love! I am going to try and continue on with Vedbaek and the blanket, though I am still wondering if Follow Your Arrow should just be frogged. As I have finished a WIP I thought I should throw some prizes into the ring and if you are participating in the KAL and post FOs in the galleries, both on my group and Nic’s, then you may win a prize! 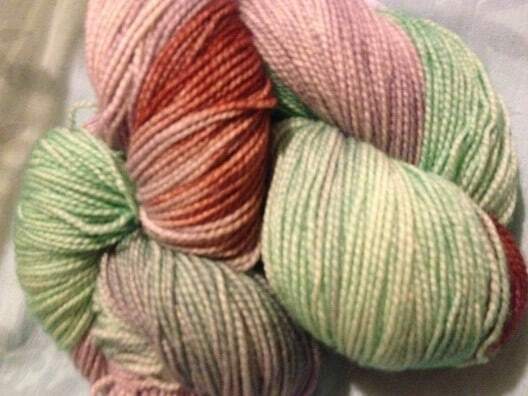 Up for grabs from me are 2 skeins of Navia Duo in dusky rose and also…something special. I had all my yarn out the other night for a wee bit of organisation (new yarndale purchases needed to be tucked up!) and I had a real struggle with my hand-dye choosing something wonderful to offer as a prize – something I could part with. I still can’t believe it, but I am donating a skein of Ripples Crafts Post Office Run yarn to one lucky winner. This was my first ever instalment of a yarn club yarn and in an early episode of the podcast you can hear me opening the package and squealing over it! It is high twist BFL and oh so shiny and beautiful. 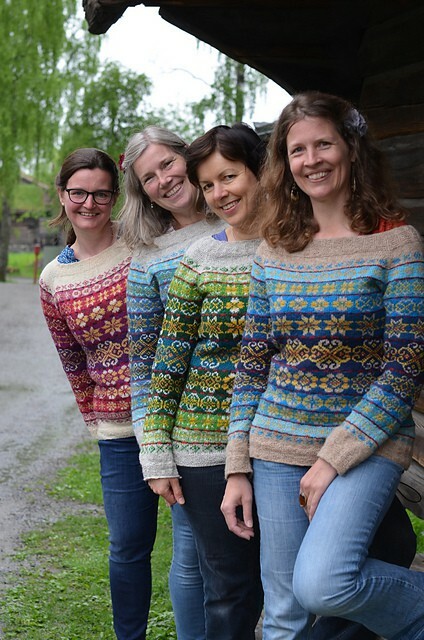 Talking of prizes, I also wanted to remind you that there is a giveaway on the episode 11 podcast for 3 prizes of Torirot Design’s Next Year in Lerwick Fair Isle sweater pattern. Please go to the post for episode 11 and follow instructions there for how to enter. You have until 24th October! All those cardigans looks so different worn in different ways. The yarn choice for each makes a real difference. I love the difference of those yarns. It also a pattern that really suits all shapes. Good ol’ TCK!